By joining you get to be a part of our brand new 3 months Fast Track to Success programme, which will enable you to generate your first $25,000 as a Flow Consultant! All of this for just $150 per month! That means for just $150 per month, you can become a Flow Consultant right now and grow your coaching business and flow at speed! Imagine you were tapped into and using one of the best and most creative products for building businesses and teams, in the marketplace today. A profile test and coaching programme that has already made a meaningful and measurable contribution to over 150,000 clients worldwide. A product that will help you serve your clients better, enabling you to generate consistent revenues each month within your chosen niche. A programme that teaches you all of the skills required to work with clients including a full training in how to structure and run a promotion to ensure you generate at least $25,000! Imagine that with the attraction this product has created in the past 10 years, it already has too many customers for the company to serve! Customers who are demanding more and more access to coaching and mentoring. Customers who are requesting delivery in new cities and across new industries in over 200 countries. Imagine how easy it would be for you to find new clients, set up new programmes, create your own unique niche and constantly be able to shine in your flow... by becoming one of the key partners certified to use this product! Well this is a reality! And it’s our Flow Consultant certification on GeniusU! As an Entrepreneurs Institute Flow Consultant, you are joining the world’s leading coaching community for Entrepreneurs & Leaders, using the world’s leading assessment tools - Wealth Dynamics and Talent Dynamics - for building trust and flow in business. You will be certified to run high impact, high return on investment debriefs with either entrepreneurs or corporate leaders. These debriefs help people to find their flow and can result in thousands of dollars of Return on Investment for your clients, from only a 45 minute debrief with you! Using GeniusU as your marketing platform, you can access over 1,000,000 entrepreneurs and business leaders who are looking for direct help and support from certified Flow Consultants! We have removed the joining fee of our No 1 certification programme, so that you can join us before the 30th April and start building your business for 2019, right now! I look forward to welcoming you as one of our key partners to this amazing programme! Flow Consultants are certified to run high impact, high return of investment debriefs using the Wealth Dynamics and Talent Dynamics profile tests. They are specially certified to understand all of the 8 profiles and 5 frequencies, which help individuals get into flow in the fastest way possible. By conducting these unique profile debriefs, Flow Consultants typically go on to secure long term coaching and mentoring relationships with their clients, as they are able to help each client uniquely, based around their specific profile. Flow Consultants can expect to earn $1000-3000 of additional revenues per month, picking up quality leads through our GeniusU platform. How To Interpret and understand the Wealth Dynamics and Talent Dynamics personal graphs for each client. The process for conducting and running a high value, high Return on Investment Profile Debriefing sessions. The subtle differences between each of the 8 profiles and how to help someone identify their specific path to finding their Flow. How to measure an individual’s Trust and Flow so you can compare their before and after scores. The best way to get each profile into Flow in the fastest way. How to integrate Wealth Dynamics & Talent Dynamics into your current coaching and mentoring offering. The best practices and strategies for launching your Flow Consultant business. certification which has no joining fee! 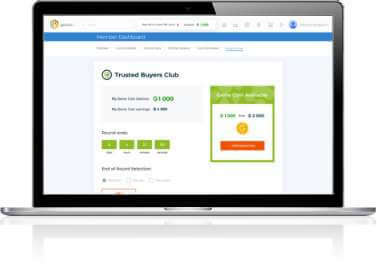 On the 1st of every month you automatically receive 3 profile test tokens into your back office which you can sell on as 121 debriefs with clients, generating $1000+ per month in revenues. You can also purchase additional tokens to top up for just $50 each as and when required. You will also be connected to all of the Flow Consultants, Performance Consultants and Master Trainers within Entrepreneurs Institute in our GeniusU closed circle. A full year on the Genius Entrepreneur Mastermind programme run by Roger James Hamilton. You can ask Roger direct questions which he answers once a month in a value packed recording! Access the full back catalogue of recordings. A community of over 1000 entrepreneurs to support your growth and share opportunities with . You can immediately sell these 5 tokens with a 121 debrief for $1985 making you an immediate ROI in just your first month! We will show you how to do this on our Fast Track to Success Programme for Consultants, commencing in April. An extra special bonus to grow your flow at speed! So you can now become a certified Flow Consultant for only $150 per month over 12 months. inviting you to join a free 3 months fast track programme! The first 10 things to do as a Flow Consultant to get into Flow. Fast! By attending this 3 month Fast Track Training you will be able to generate at least $25,000 in your first year, of new revenues and apply to upgrade as one of our Impact Dynamics Consultants! Catherine Ord became a Flow Consultant and established a brand new niche for herself as a result. 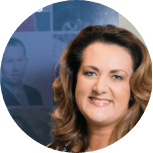 Catherine was able to generate more revenue in just 1 day as a Flow Consultant, using GeniusU, than she had done in any previous month before that! We have totally removed the joining fee for those joining by the 30th April. Now you just pay the ongoing product purchase license fee of $150 per month, in exchange for 3 profile tokens (worth $291) for 12 months. At the end of the 12 months you can either cancel your license and certification or renew for another 12 months at $150 per month. + How long does it take to become certified? You can do the certification in your own time. There is about 16 hours of content to complete in order to become certified. We advise you do this all in one month so you can start working with clients immediately. + Do I need to go somewhere to become certified? No you can take the online certification wherever you are as long as you have your free access to GeniusU and WiFi. You can complete this application if you have any questions and would like to check if Flow Consultant is right for you, by booking a call with one of the team. First Name Last Name Email Mobile No.